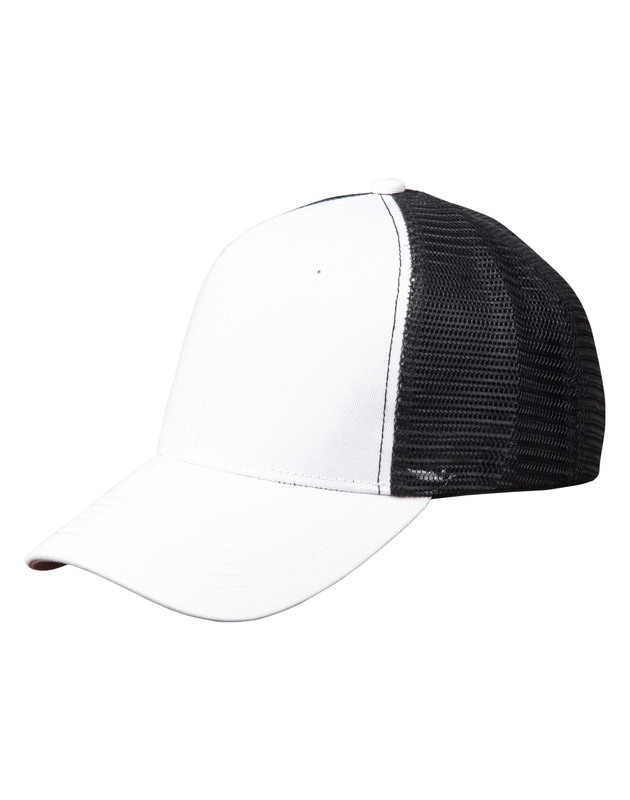 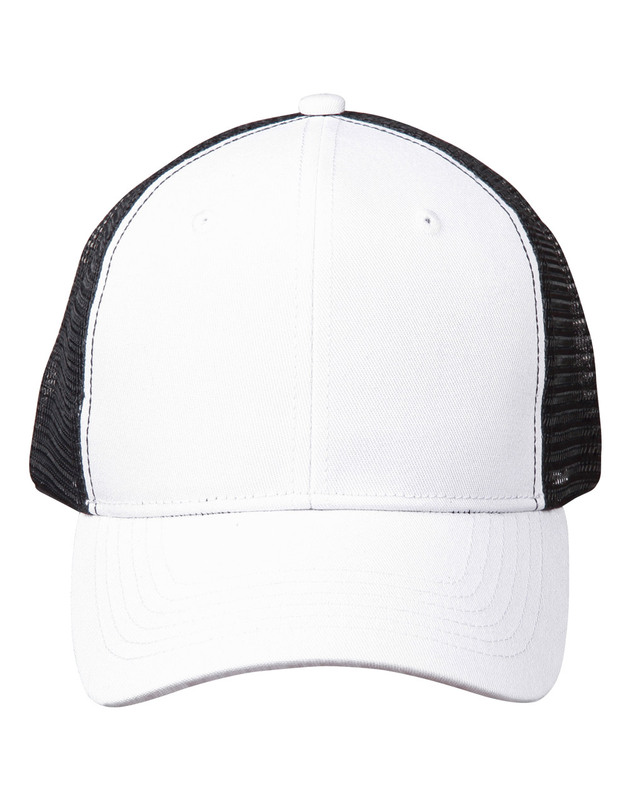 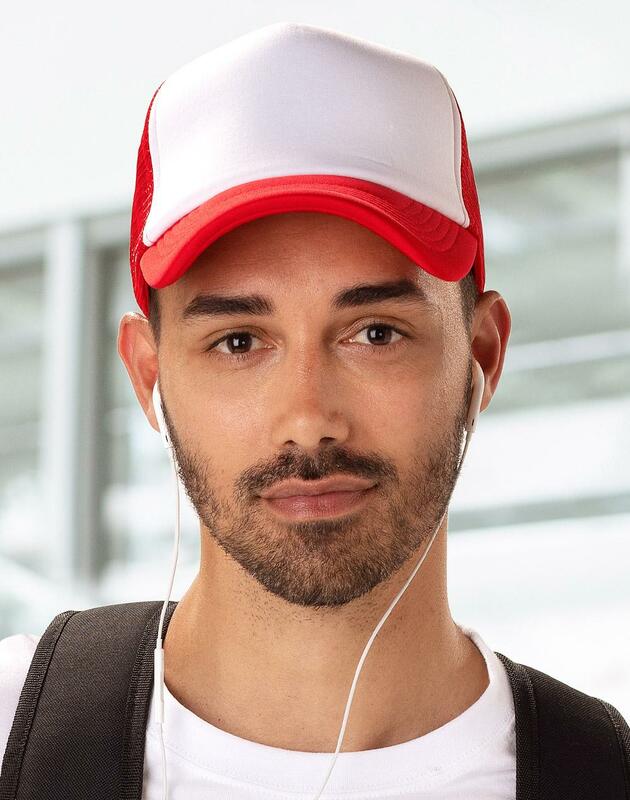 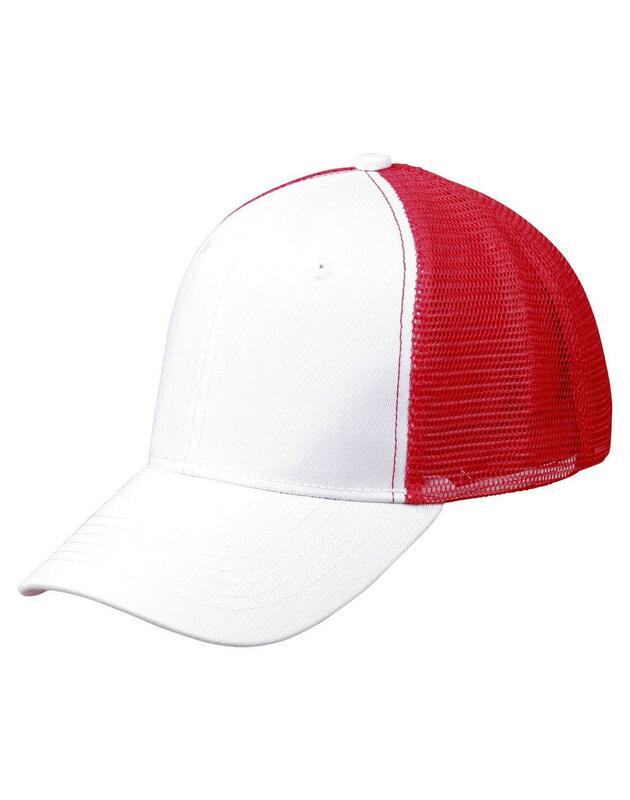 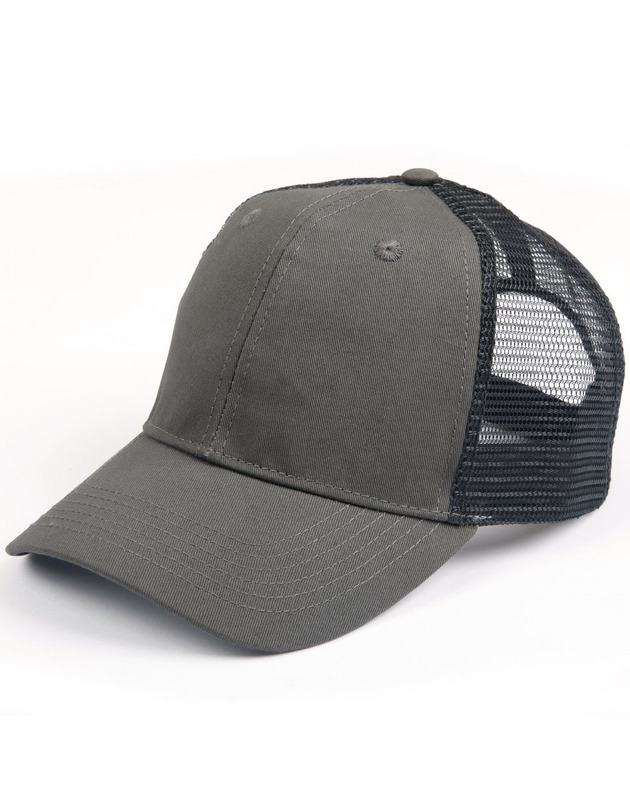 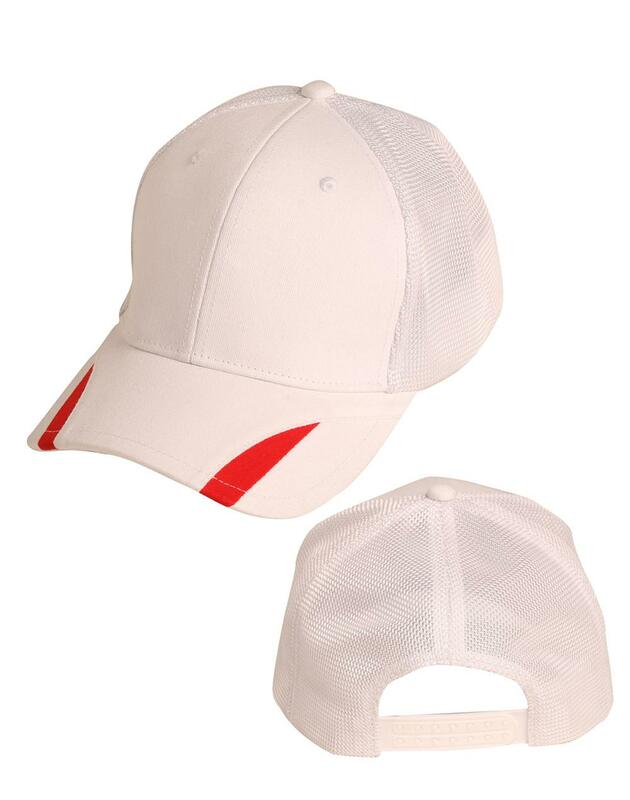 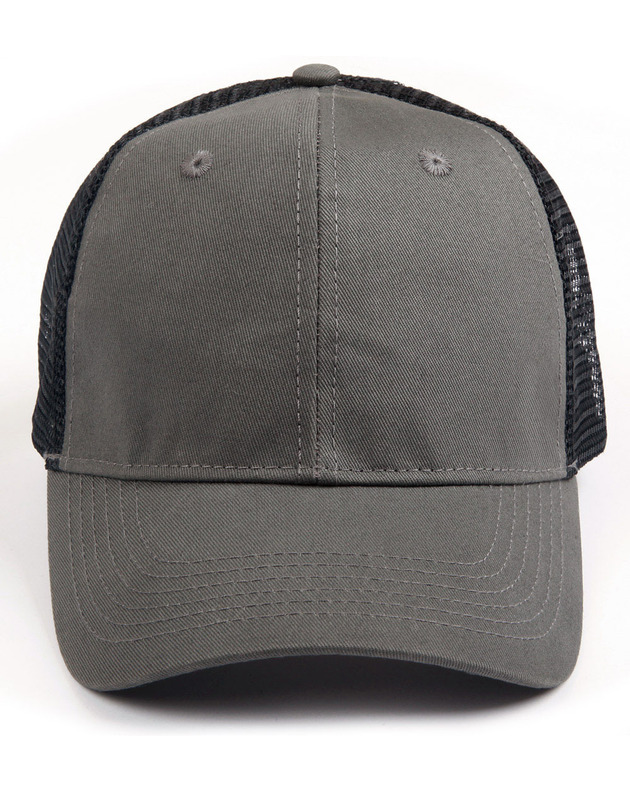 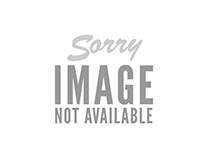 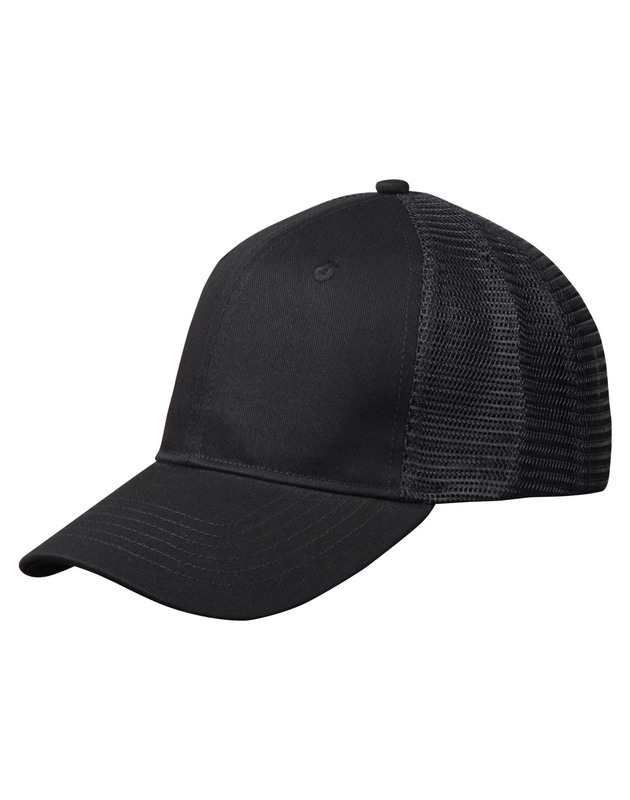 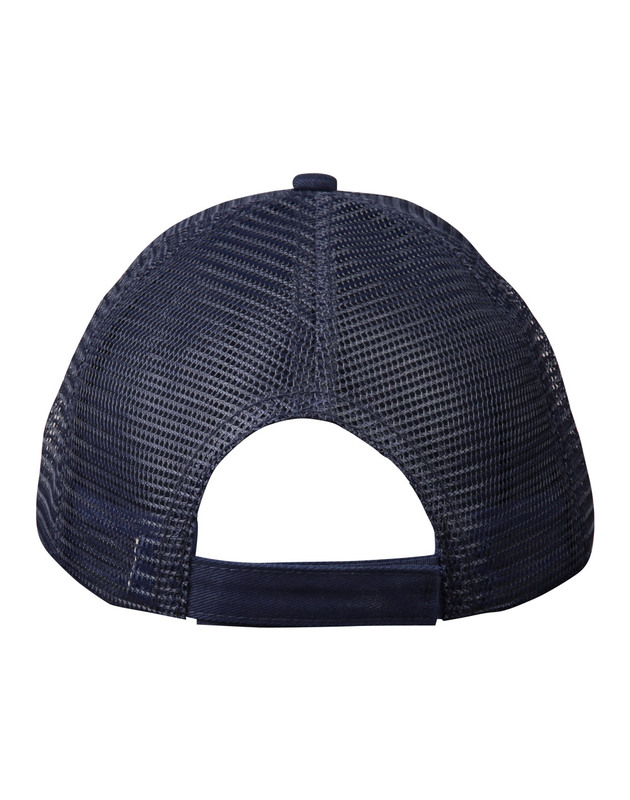 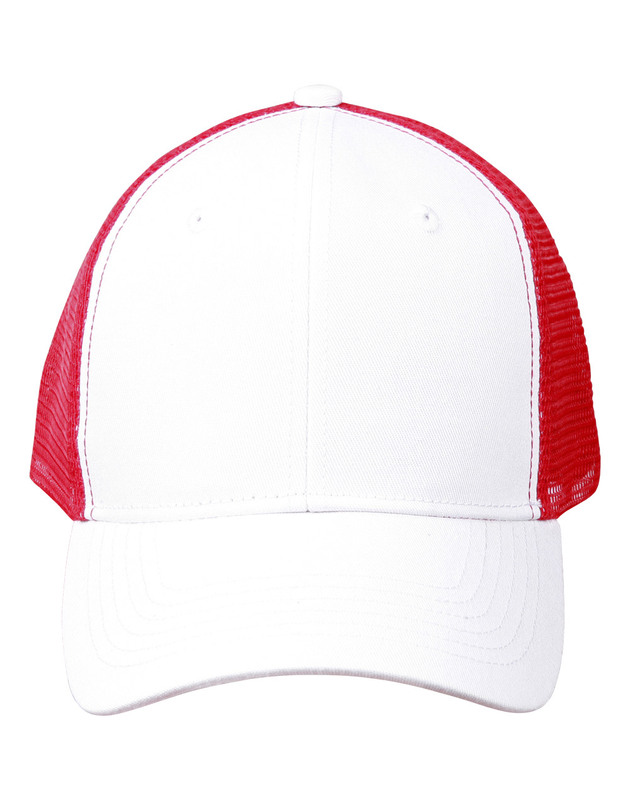 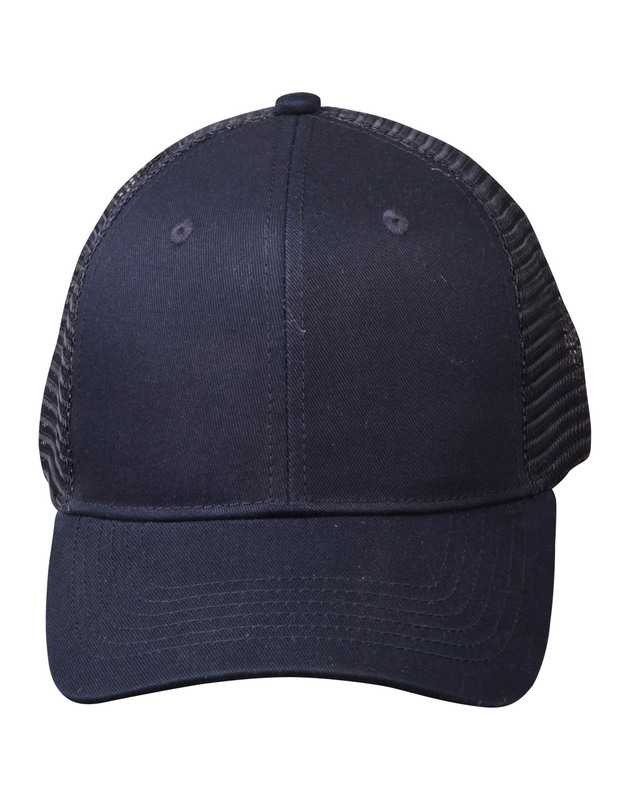 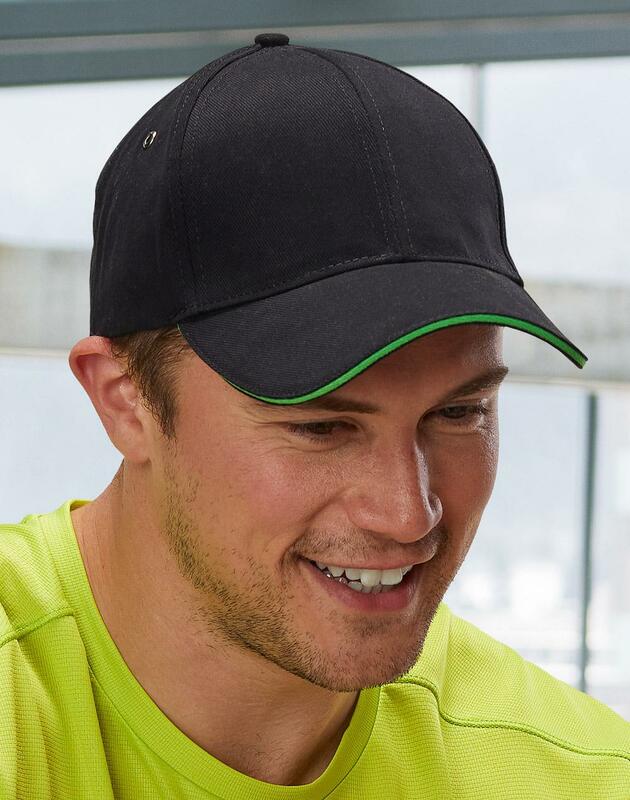 Description: 6 panel pre-curved peak trucker cap. 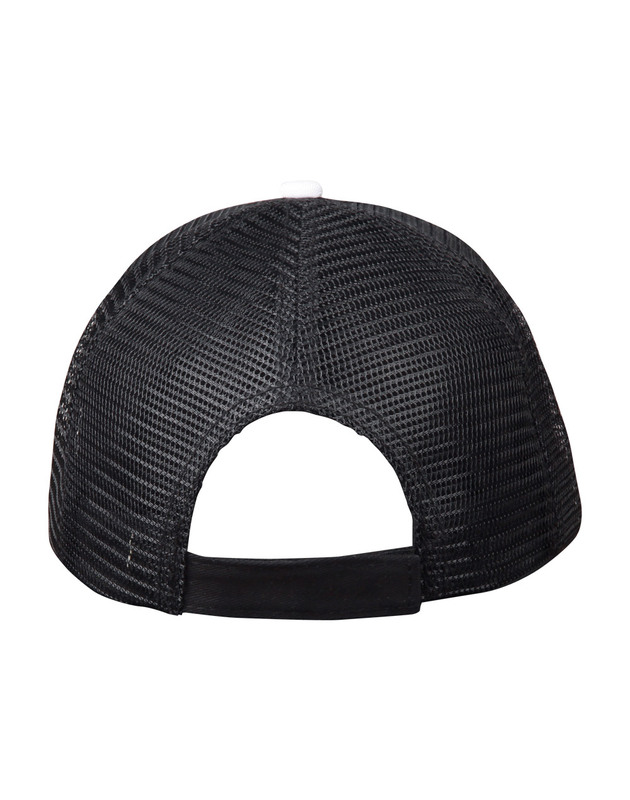 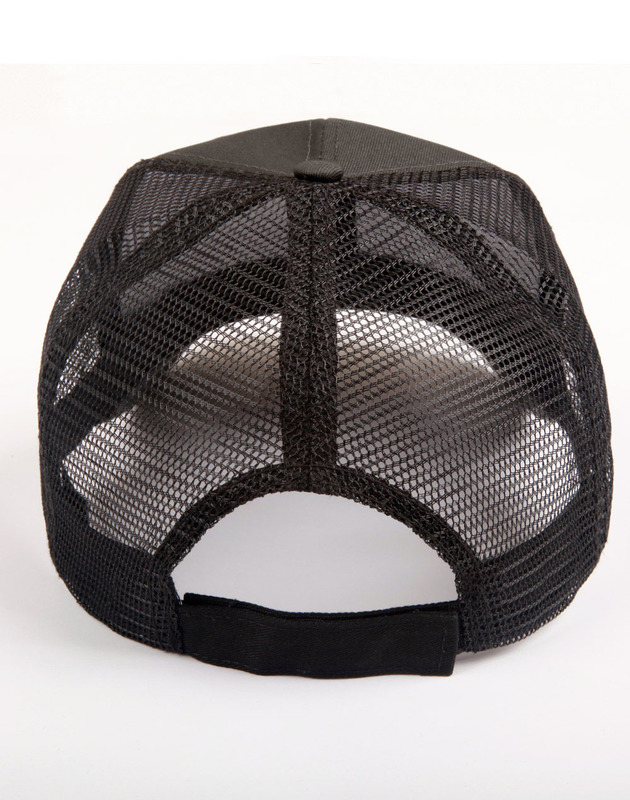 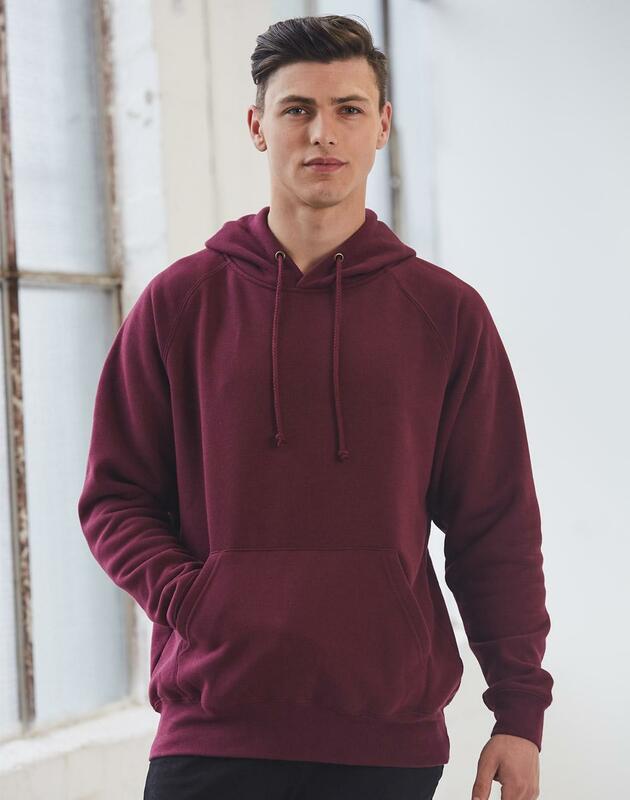 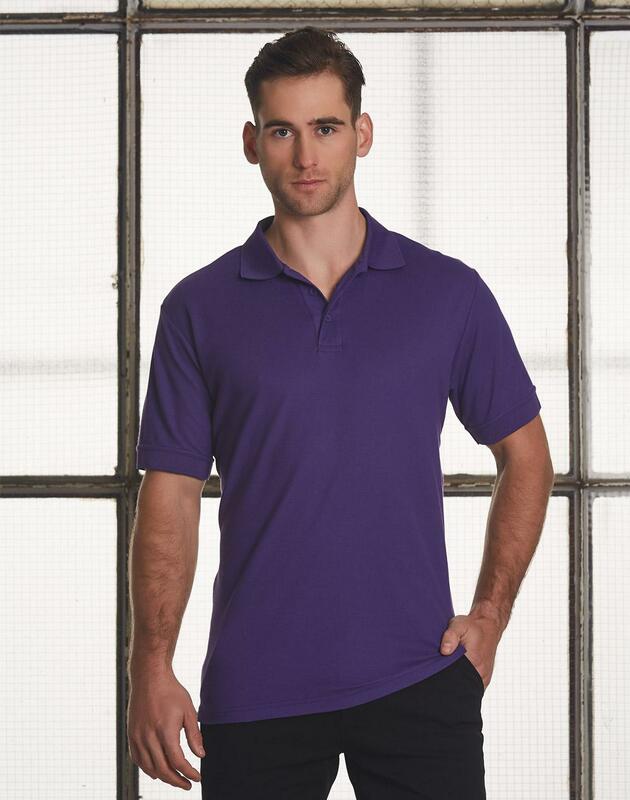 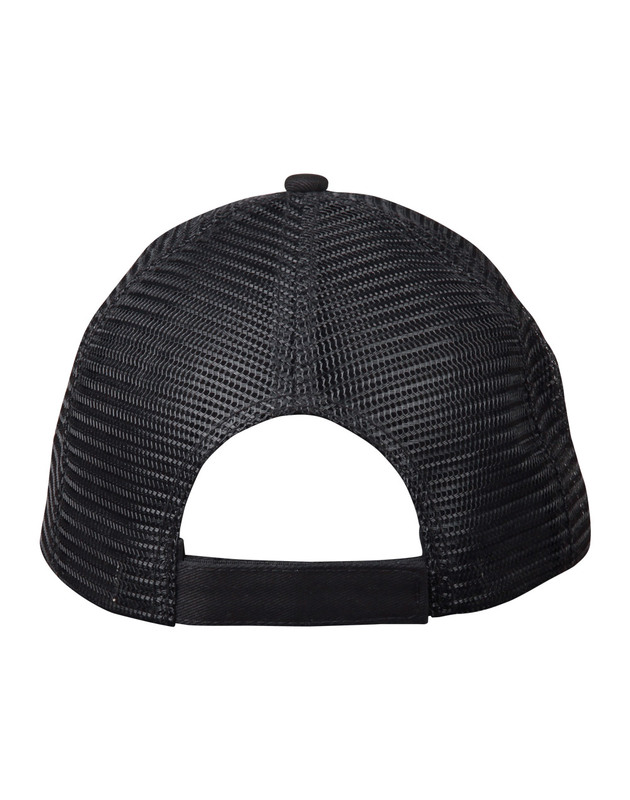 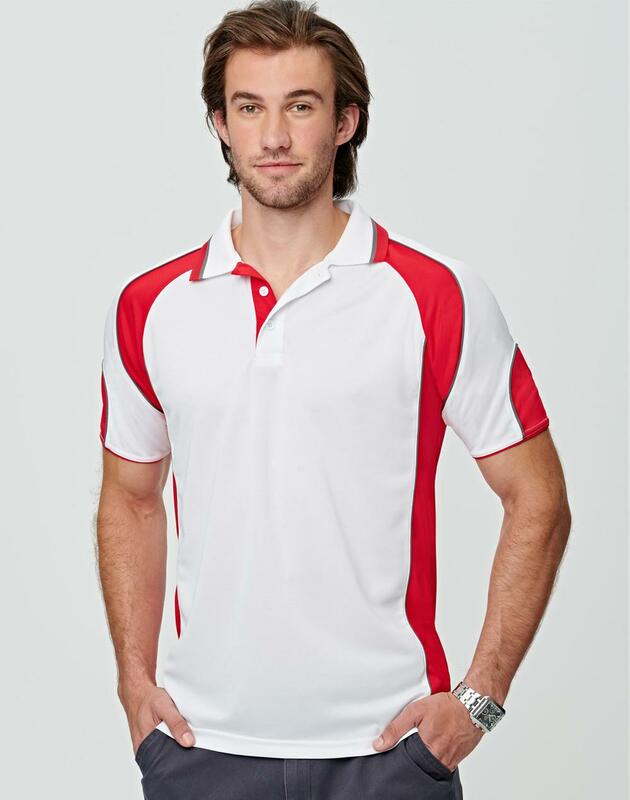 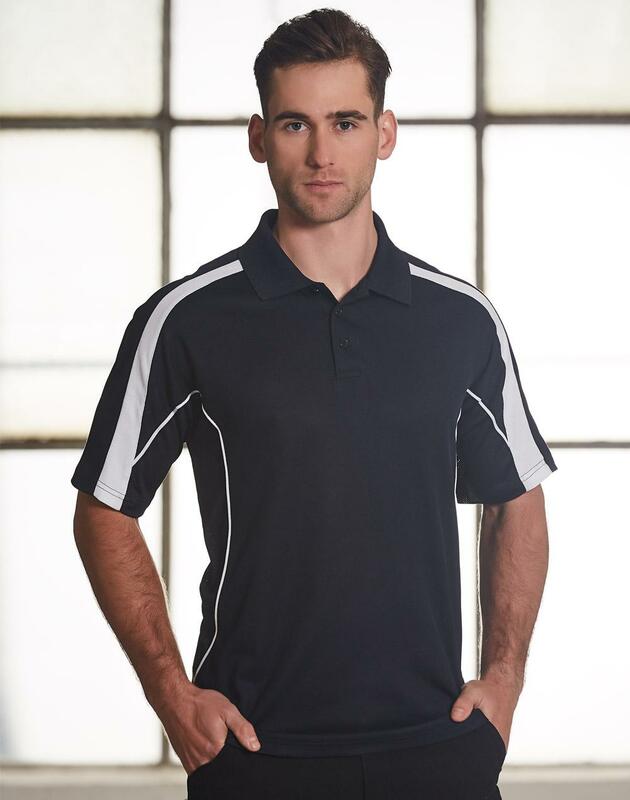 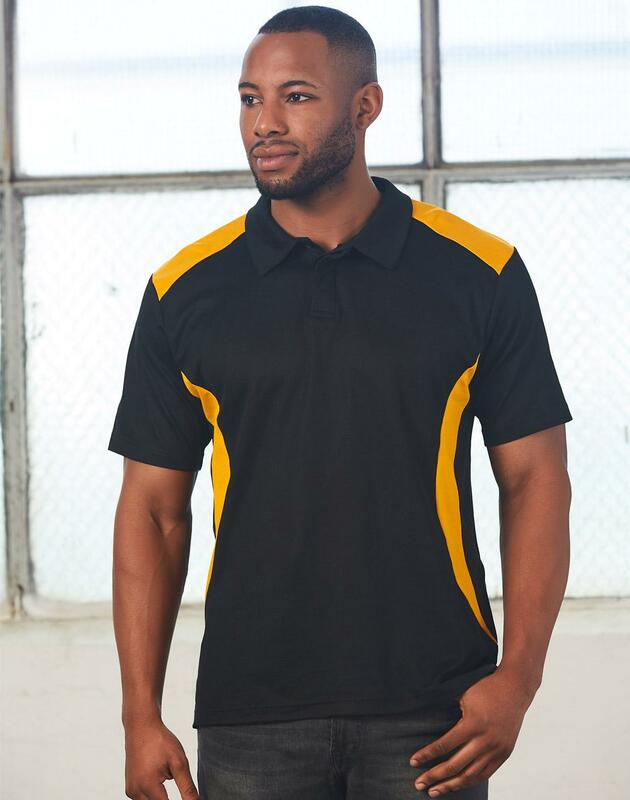 Laid back structured front with back Nylon mesh. 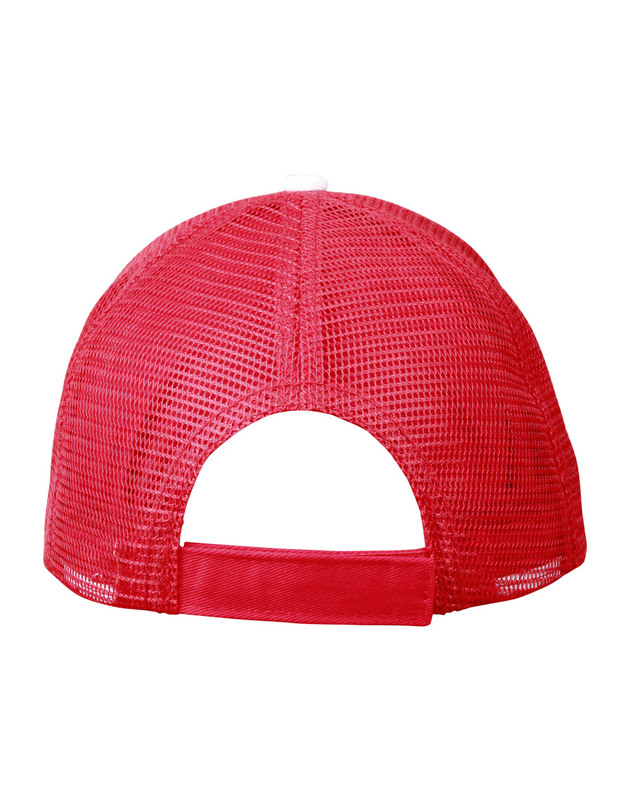 Embroidered eyelets. 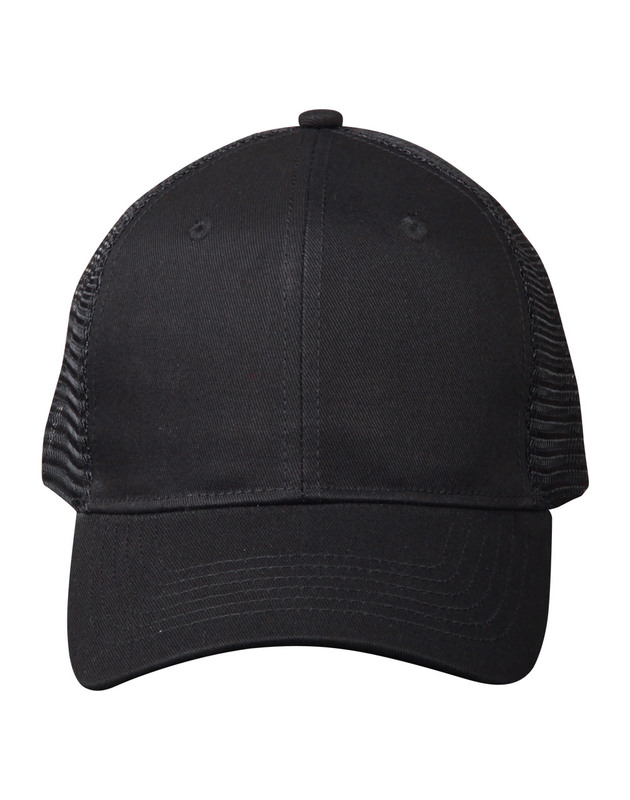 Adjustable fabric velcro closure.